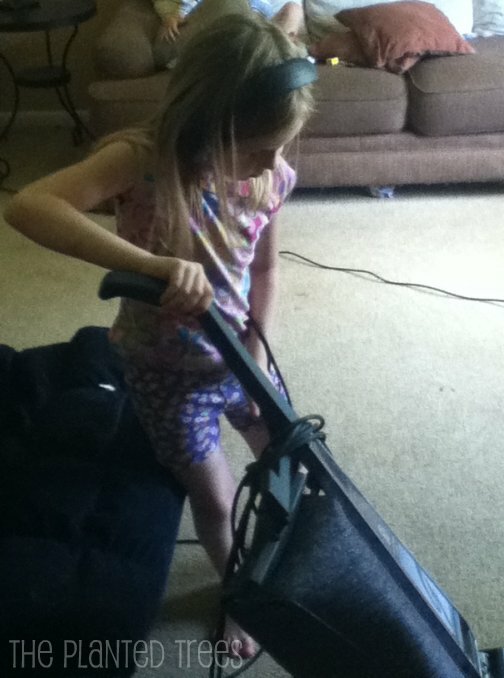 When I asked Magpie to vacuum the living room, she decided it was too loud….. So she found daddy’s shooting muffs to finish her chore. LOL!! Too funny. And now I hear everything in this annoying Vanilla Ice cadence. Urgh.